Edward Rogers Tillotson was the son of Zadock Tillotson and Susan Caroline Rogers. Edward was a first cousin of my great-great-grandfather Franklin James Tillotson. Edward was born November 15, 1823 in Brunswick, Medina County, Ohio. Edward married Elizabeth "Betsey" Brown Sanderson on October 2, 1846. Betsey was the daughter of Eri Sanderson and Amy Wait. Betsey was born July 31, 1824 in Grand Isle, Vermont. wife of Edward Rogers Tillotson. Edward and Betsey had the following children, all born in Dane, Dane County, Wisconsin. Several of the daughters married sons of Anthony and Nancy Martin of Vermont. Caroline Susan Tillotson was born November 17, 1848. 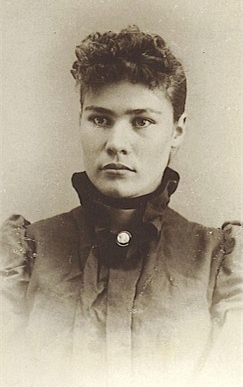 She married first Henry Martin on September 5, 1872 in Wisconsin. Henry was the son of Anthony and Nancy Martin. Henry was born February 2, 1841. Caroline was a Seventh Day Adventist. Henry and Caroline were both Republicans. Henry had served in the Third Vermont Regiment in the Civil War. Charles Edward Martin was born March 4, 1868. Viola Nancy Martin was born June 30, 1873. She married Oscar Trumbull. Viola Nancy Martin and her husband Oscar Trumbull. Photo was taken in Hastings, Nebraska about 1901. William B. Jayne was born April 18, 1882. Caroline divorced William H. Jayne. Later she married Breydon Hammond. They had no children. Caroline kept the name Hammond until her death. Her son William B. Jayne changed his name to William B. Hammond. William B. Hammond (originally William B. Jayne). Ruth Minna Hammond. She married a man name Reed. They had children. Ruth died in 1992. Philip Hammond. Philip died of tuberculosis in 1935. He is buried with his father in San Mateo, California. Children of William B. Hammond. Caroline Tillotson Hammond died in 1928. George Barton Martin was born February 22, 1874. Bessie Estella Martin was born January 25, 1877 and died in July, 1877. Frederick Henry Martin was born June 26, 1878. Mabel Josephine Martin was born January 15, 1881. Nellie Emeline Martin was born February 27, 1885 and died March 5, 1886. Leslie James Martin was born February 16, 1891. Marcia died on December 23, 1927 in Denver, Colorado. Jerry died on August 20, 1928 in Denver. Flora Fredonia Tillotson was born April 3, 1882. Viola Valeria Tillotson was born July 20, 1883. Edward Tillotson was born and died on March 10, 1885. Bertha Josephine Tillotson was born April 27, 1886. Ezra Tillotson was born February 25, 1888. He married Grace Stratton. 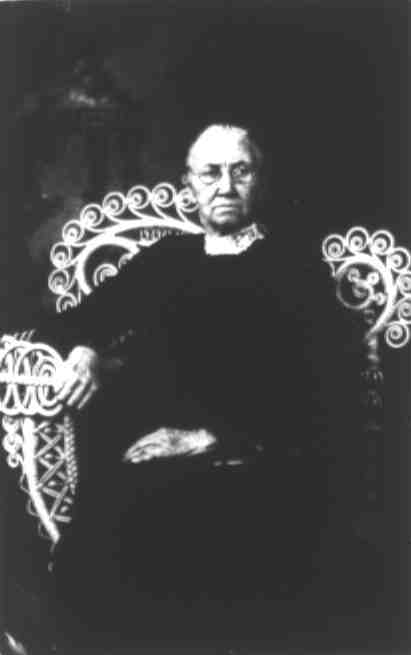 Grace's sister Amy P. Stratton married James Steel Hanna, Jr., Ezra's uncle. Nora Beatrice Tillotson was born August 6, 1889. Arthur Henry Tillotson was born June 12, 1891. Neal Tillotson's site www.tillotson.us offers information about Arthur's family and especially about his son Keith Tillotson. James Edwin Tillotson was born April 8, 1893. Earl Tillotson was born May 6, 1900. 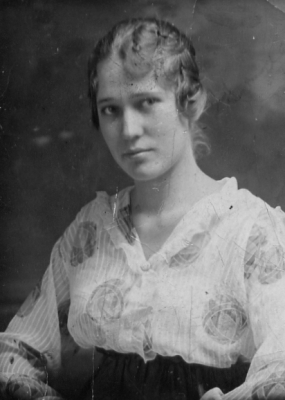 Eri died June 9, 1925 in Alma, Harlan County, Nebraska. Mary Elizabeth died January 6, 1927 in Alma. William Anthony Martin was born May 23, 1873. Edson Martin was born August 25, 1874 and died August 18, 1875. Frederick Martin was born August 25, 1874. Lillian Martin was born July 14, 1875. Bessie Martin was born September 6, 1876. Edward Martin was born March 29, 1877. Lemuel Martin was born April 20, 1885 and died June 7, 1892. Benjamin Harrison Franklin Martin was born August 22, 1886. Mary Martin was born December 14, 1891 and died March 8, 1892. I do not know when Amy or William died. 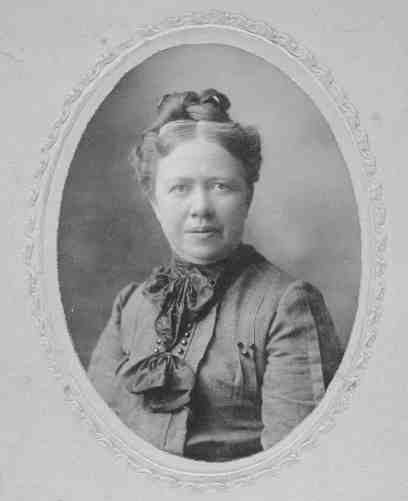 Martha Tillotson was born in 1856. Harriet Tillotson was born March 6, 1858. 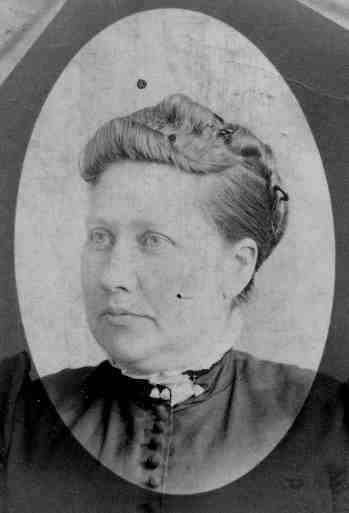 She married Joseph Martin on September 13, 1873 in Dubuque, Iowa. Joseph Martin was the son of Anthony and Nancy Martin. 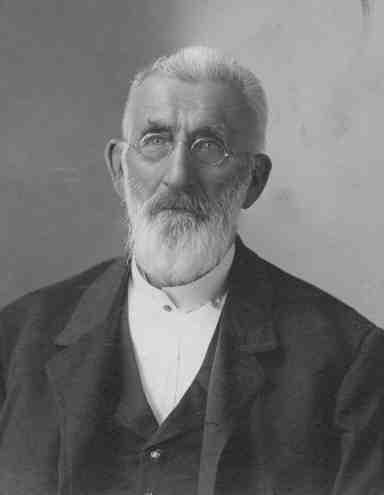 Joseph was born January 5, 1851. Harriet and Joseph were Seventh Day Adventists and Republicans. They had the following children. Minnie Bell Martin was born March 30, 1874. She married Warren Henry Whitehead. He was born March 30, 1868 in Churubusco, Noble County, Indiana to Charles Whitehead and Polly Marie Coe. 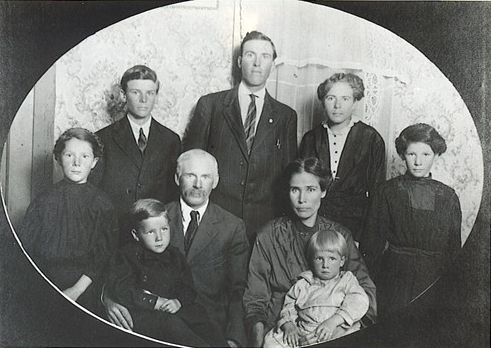 Warren and Minnie Bell had seven children. Lasalle Harold Whitehead was born January 26, 1896 in Alma, Nebraska. He died August 4, 1984 in Alma, Nebraska. Lena Pearl Whitehead was born January 8, 1898 in Alma, Nebraska. She married a man named Worley. Lena died May 23, 1953. Ardath E. Whitehead was born February 26, 1900 in Alma, Nebraska. He died July 16, 1989. Zada Leona Whitehead was born July 20, 1903 in Alma, Nebraska. She married Byron Claude Goodman. They had three children. Zada died in 2005 in St. Paul, Minnesota. Naomi Leota Whitehead was born June 5, 1906 in Alma, Nebraska. She married a man named Thomas. Naomi died March 6, 1967 in Holdredge, Nebraska. Martin Charles Whitehead was born July 7, 1911 in Wilcox, Nebraska. He died October 19, 1978 in Loma Linda, California. Eva Fern Whitehead was born October 28, 1912 in Wilcox, Nebraska. Fern was a registered nurse. She died February 12, 1990 in Holdredge, Nebraska. Minnie Bell Martin Whitehead died July 9, 1915 in Orleans, Nebraska after falling from a wagon. Warren Henry Whitehead died May 18, 1940 in Greeley, Colorado in the General Hospital there. He is buried in Alma, Nebraska. Top row, left to right: Naomi, Ardath, Lasalle, Lena, Zada. Bottom row, left to right: Martin, Warren, Minnie, Eva. Caroline Elizabeth Martin was born March 3, 1876. She died in California. Wesley Bonwood Martin was born April 18, 1878. He died as a child. Esther Laura Martin was born February 2, 1881. She died as a child. 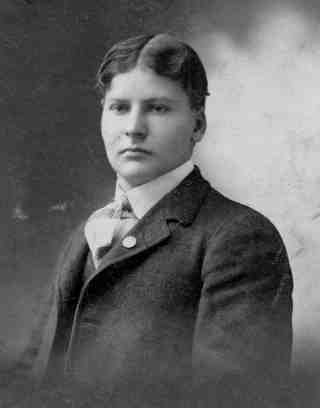 Henry Edward Martin was born March 22, 1883. He died in Fort Morgan, Colorado. Mary Esther Martin was born March 15, 1886. She died in November, 1954 in Denver, Colorado. Zadock Joseph Martin was born May 22, 1888. He died in Denver, Colorado. Marcia Hepsey Martin was born June 23, 1890. She married William Fred Bauer. Jessie Angeline Martin was born October 25, 1895. She died February 26, 1901. Grace Harriet Martin was born June 3, 1901. She married Theodore Raymond Akerson who was born May 11, 1901 in St. Paul, Ramsey County, Minnesota to Herman Hans Akerson and Nannie Mathilda Carlson. Grace and Theodore had two children. Edwin Clinton Akerson was born November 3, 1925 in Denver, Denver County, Colorado. He died in 2007 in Oregon. John Douglas Akerson was born May 10, 1927 in Colorado. He married Janice Ruth Parnell on March 23, 1951 in Carmel, California. Janice was born January 1, 1926 in San Jose, Santa Clara County, California to Harold Houghton Parnell and Rosa Mabel Coyle. They had two children. Janice died May 10, 1990 in Alameda, Alameda County, California. John died February 18, 2008 in Yuma, Yuma County, Arizona. Theodore died May 18, 1968 in San Diego, San Diego County, California. Grace died May 25, 1992 in Hayward, California. Joseph died in April 1909 in Alma, Harlan County, Nebraska. In 1919 Harriet married John Hedlund, a farmer from Fort Morgan, Colorado. Harriet fell from the roof of a chicken coop in 1935 and never recovered from her injuries. She died in August 1937 in Denver, Denver County, Colorado at the home of her daughter Marcia Bauer. Harriet is buried in Denver in Fairmount cemetery. Zadock Tillotson was born May 22, 1860. He died as a child. Kenneth Noah Tillotson was born October 7, 1898 in Alma. He married Lottie Aletha Sherman on September 2, 1924 in Hoxie, Sheridan County, Nebraska. Lottie was born November 11, 1898 in Grinnell, Gove County, Kansas to Bert Sherman and Sarah Abbigale Smith. Kenneth and Lottie had two children. Kenneth was a telegrapher for the Union Pacific railroad. He was also a mason. 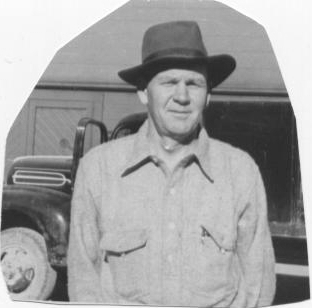 Floyd Dewey Tillotson was born December 9, 1899 in Alma. He married Olive Wall on August 29, 1925 in Kearney, Buffalo County, Nebraska. She was born to Randall Wall and Isabelle Wilson on June 11, 1899 in Huntley, Harlan County, Nebraska. Floyd and Olive had one child. Floyd earned his bachelor and masters degrees from the University of Nebraska. He started his teaching career in rural schools. Later he became superintendent of several schools in Nebraska. Mable Nell Tillotson was born January 14, 1901 in Huntley. She married Charles R. Imm on October 4, 1922 in Holdredge, Phelps County, Nebraska. Charles was born to Rinhold Imm and Josie Hemmpler in Philips County, Kansas on July 22, 1892. Mable and Charles adopted one child. Charles was a meter salesman for Southern Gas Company. Theodore Roosevelt Tillotson was born August 22, 1902 in Huntley. He married Mildred Florence Young on December 30, 1933. She was born to Everett E. Young and Bexie F. Elliott on October 1, 1910 in Kenesaw, Adams County, Nebraska. Theodore and Mildred had one child. Theodore earned bachelors and masters degrees in education from the University of Southern California. He was a principal at the junior high school in Sidney, Nebraska. Leola Alice Tillotson was born February 16, 1906 in Huntley. She married Robert Newton Woods on January 30, 1925 in Hayes Center, Hayes County, Nebraska. Robert was born to George Woods and Bertha Kirkpatrick in Fowler, Otero County, Colorado on December 14, 1902. Albert and Robert had five children. Robert was a mechanic. He owned and operated bus and freight lines between Leadville and Climax, Colorado. After moving his family to California, Robert owned Red's Frame, Wheel, and Brake Service in Santa Ana. Leola Alice Tillotson Woods died September 25, 1992. Robert Newton Woods died August 28, 1996 in Jacksonville, Jackson County, Oregon. Lester Alonzo Tillotson was born January 15, 1908 in Ragan. He married Marjorie Marian Armitage on November 30, 1934. Marjorie was born on April 11, 1912 to Fred Claude Armitage and Nellie Blanche Edmondson in Kenesaw, Adams County, Nebraska. 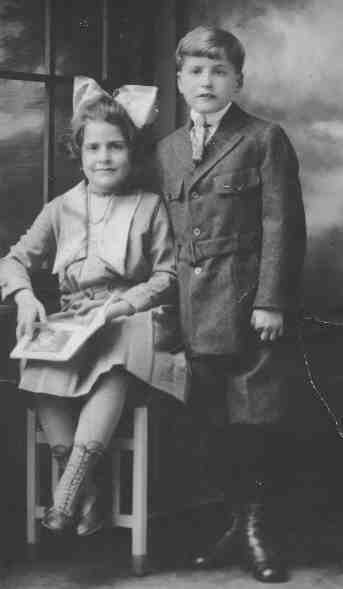 Lester and Marjorie had two children. Lester was a mechanic who worked for the Adohr Milk Farms in Pasadena, California. Virdie Henry Tillotson was born December 23, 1909 in Ragan. He married Opal Doris Hardesty on March 31, 1930 in Woodbine, Harrison County, Iowa. Opal was born to Grant Hardesty and Helen Anderson on January 20, 1912 in Eustis, Frontier County, Nebraska. Virdie and Opal had two children. Virdie managed a servive station in Holdrege, Nebraska. Harold Bernard Tillotson was born January 4, 1912 in Ragan. Ellen Minnie Tillotson was born December 8, 1913 in Ragan. She married Ralph Elmer Tice on July 27, 1938 in Los Angeles, Los Angeles County, California. Ralph was born to Ira Nelson Tice and Isabel Saunders on March 4, 1907. Ellen and Ralph had three children. Ralph was a postal worker and also owned Tice Radio and TV Repair in San Gabriel, California. 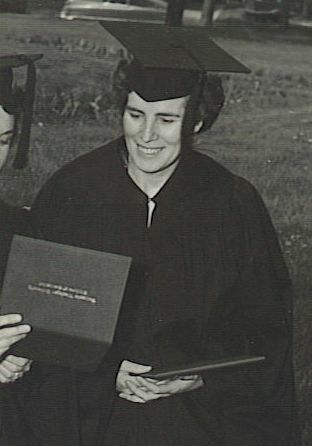 Ellen Tillotson Tice died in 2001. Melvina Tillotson was born May 5, 1916 in Ragan. She married Herman Ingram on August 11, 1940 in Springdale, Washington and Benton County, Arkansas. 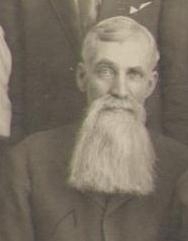 Herman was the son of Marlan Ingram and Edna Smith. Herman and Edna were farmers. They had seven children. 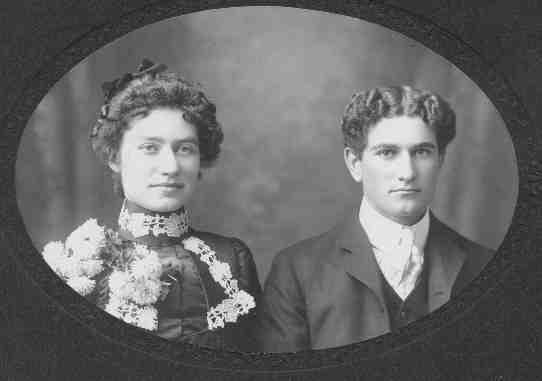 Alonzo and Melvina lived on a farm near Alma, Nebraska. They moved to a farm near Huntley, Nebraska in 1900. They moved to Ragan, Nebraska in the fall of 1906 where Alonzo served as section foreman for the Burlington railroad for 27 years. Alonzo retired on April 1, 1933. Melvina died May 28, 1916 in Ragan, Harlan County, Nebraska. Alonzo died August 4, 1936 in Holdredge, Phelps County, Nebraska. A very large number of relatives and friends of the late E. R. Tillotson were present at the funeral services at the M. E. Church, Wednesday afternoon. The services were conducted by Elder Hoops of Lincoln, immediately after which the remains were taken to Alma cemetery. The death of Mr. Tillotson occurred at the home of Jerry Martin in North Alma, Monday, and was due to heart failure and old age. Mr. Tillotson was among the earliest settlers of the county, having voted here twenty-four years ago. He died in his seventy-second year and leaves a family of grown children. "Zadoc has descendants in Ohio." 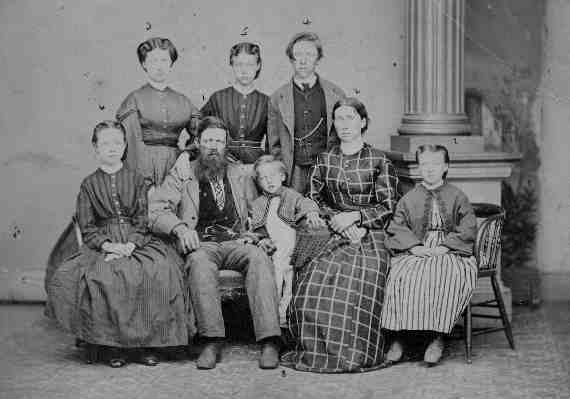 and "Zadoc's Edward went to Kansas or Nebraska and left no son but a large family of daughters." "Zadock's Edward went to Kansas or Nebraska, to Nebraska I think and so far as I know left no son but a large family of daughters. We never had any direct communication with them." Of course, Edward did have three sons. While Zadock died as a child, Alonzo lived to adulthood and had ten children. This serves to indicate that there wasn't much contact between Edward and the remaining family in Ohio once he moved West. The portrait of Betsey Brown Sanderson is from E. Ward Tillotson's manuscript The Tillotson Family in America. My thanks to Gerry Anderson who provided the other pictures and some of the information about Caroline Susan Tillotson and her children. John Woods and Mary Colgan-Bennetts provided information about the descendants of Alice Leola Tillotson and Robert Newton Woods. John Reed provided information about the children of William (Jayne) Hammond. Patty Meitzler provided information about Ezra Tillotson. K. M. Enz and Derk Akerson provided information and photos about the descendants of Joseph Martin and Harriet Tillotson. Back to index of my personal genealogy pages. Last modified by pib on May 2, 2018.